UPDATE 2 — May 3: GameStop has added in a product description for Call of Duty: Infinite Warfare, and their description of the multiplayer mode has information that other retailers/press releases did not: it claims that the movement system will be a “chain based movement” similar to Call of Duty: Black Ops 3. Activision has revealed some small details about the Call of Duty: Infinite Warfare’s movement system in MP. In the reveal trailer, it looked like there was thrust jumping (very similar to Black Ops 3) at the 0:59 mark. 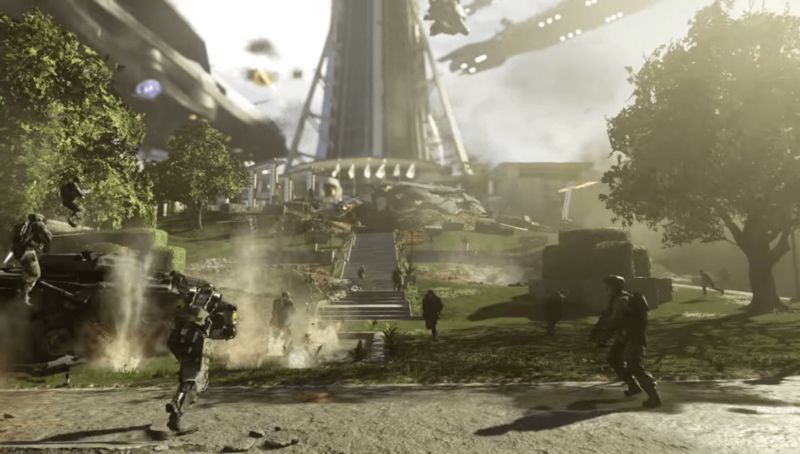 For online action, Call of Duty: Infinite Warfare promises to strike with maximum impact in a world where every second counts as it delivers the future of warfare. The game’s Multiplayer mode features an evolution of Call of Duty’s movement system with an emphasis on front-line engagement. More details regarding Call of Duty: Infinite Warfare MP will be announced at a later date.